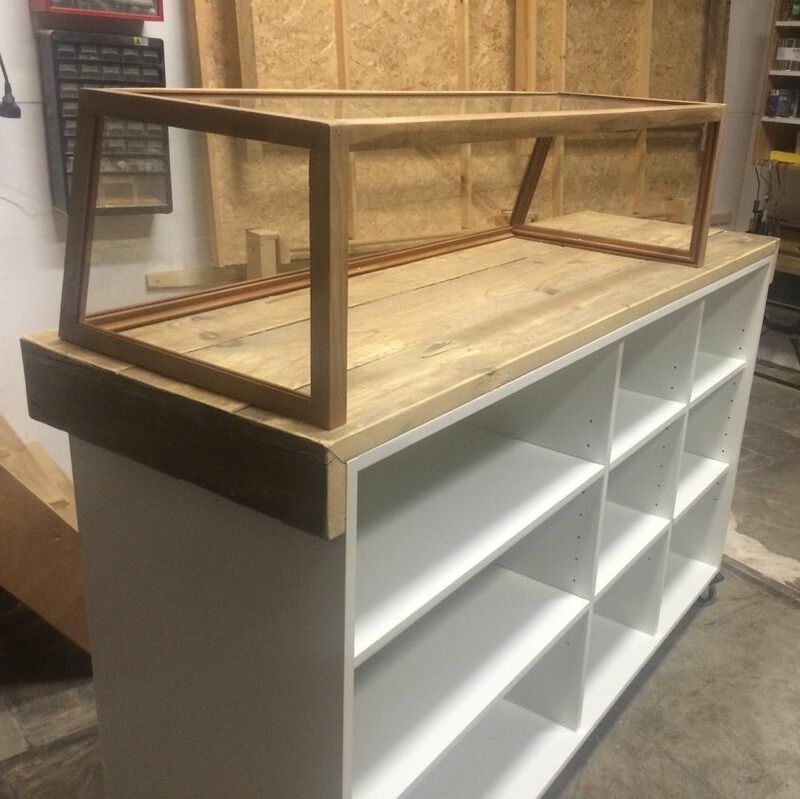 Counter on wheels with wooden used wooden top and glass display. 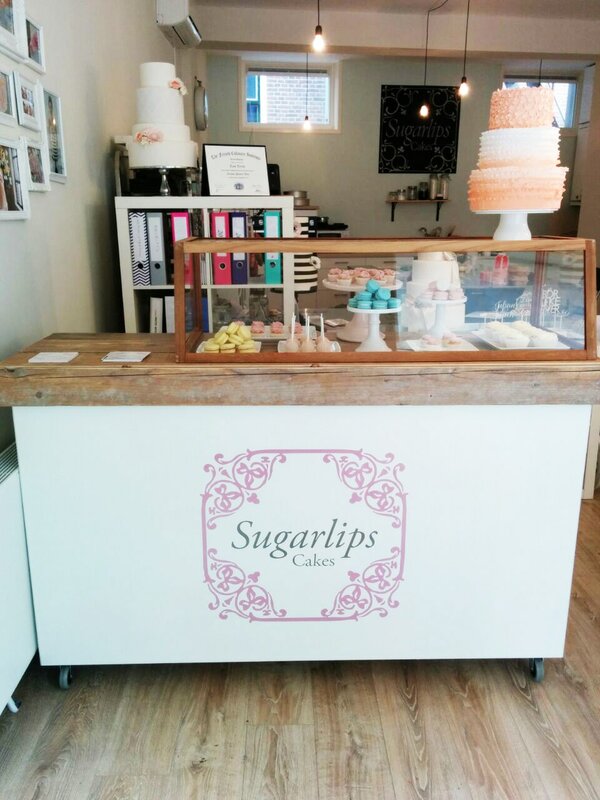 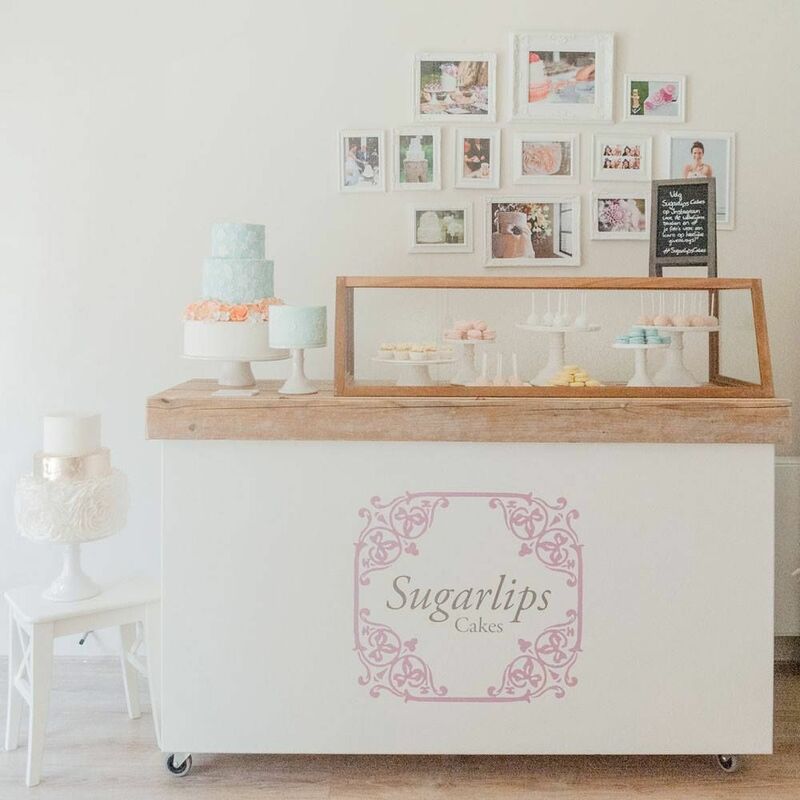 This counter was tailored for Sugarlips Cakes situated in Utrecht. 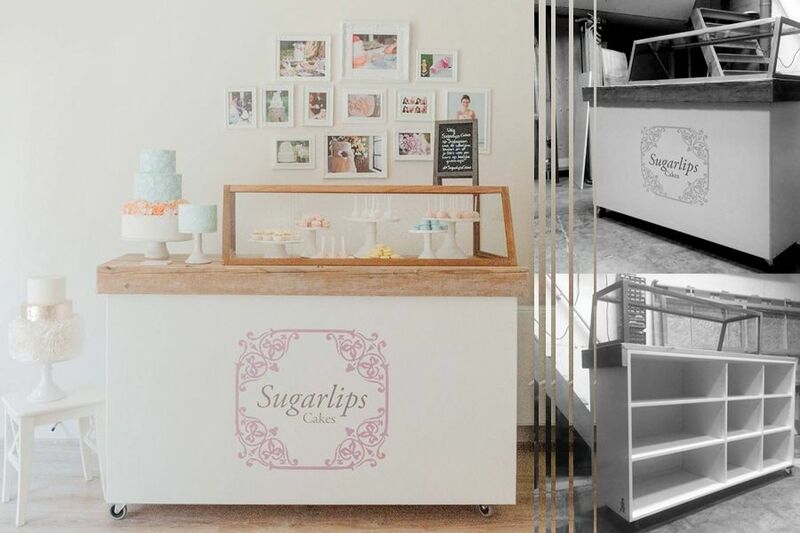 The area that consists of kitchen and conference table had to be extended to a shopping area where the products are displayed and sold: completely designed in their branding colors and materials. 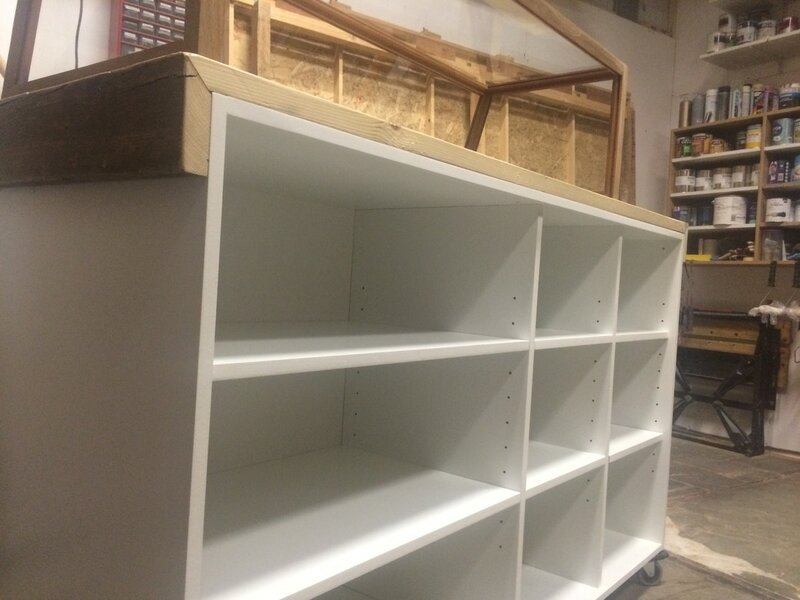 Glass, used wood and a sleek white chassis with the rear storage space and at the top with hardwood edging finished with their sticker logo.